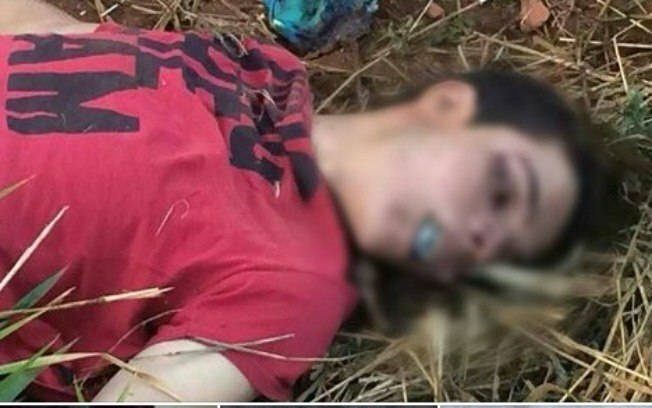 SÃO PAULO — The body of 18-year-old João Antônio Donati was found on Wednesday on wasteland in Inhumas, a town near the Brazilian city of Goiânia, Goiás state. According to his family, Donati – who was openly gay – had gone out on Tuesday evening to a bar with friends and never returned home. Less than a day later, he was found dead with a badly beaten face, and plastic and paper stuffed in his mouth, which caused his death by asphyxia, according to an initial autopsy. Local police say they are not ruling out homophobia as the cause of the murder, but denied rumours that the teenager’s body was found with a note with a homophobic message. Rumours circulating online that both his legs and his neck had been broken were also not confirmed by investigating officers. Eighteen-year-old, out-gay João Antônio Donati was murdered in Inhumas, Goiás, Brazil, this week. Police said Donati was not the victim of a latrocínio – a robbery in which the victim is then killed – as nothing was stolen from him, further evidence that his murder was a hate crime. Investigators say there were signs of a violent struggle between the victim and the person, or persons, who killed him. The 18-year-old worked at a local bar, and his social media profiles have since receive thousands of messages from people expressing their outrage and condolences to friends and family. A funeral service has since been held. Friends say he had been the target of homophobic abuse before, but it had stopped short of physical aggression. “Over 25 years since racism was criminalised, and nearly 10 years after the criminalisation of domestic violence, it is time Brazil criminalised homophobia. […] As with racism and domestic violence, homophobia kills,” Salvatti said in a statement. The case has sparked outrage among the Brazilian LGBT [lesbian, gay, bisexual, transgender] community, which is organising coordinated protests this weekend in a call-to-arms to raise the profile of an ongoing spate of crimes against the LGBT community in Brazil. According to renowned LGBT activist group Grupo Gay de Bahia, a member of the LGBT community is killed every 28 hours in Brazil due to their sexual orientation, with 205 murders already recorded this year. There were 313 such homicides in 2013, according to the Folha de S.Paulo newspaper. There is currently no federal law criminalising homophobia (and other LGBT phobias), such as homophobia, throughout Brazil, but some states – such as São Paulo – have local laws in place.